Since I already have a list of weird education words here’s a new one to add. How many of you have heard of “platooning”—which, in reference to education, means moving elementary students, subject-to-subject, teacher-to-teacher, to meet the new Common Core State Standards? Instead, of one primary teacher, students move around—subject to subject. 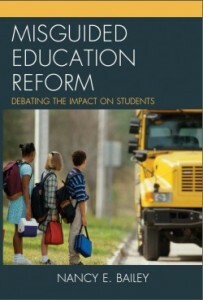 This idea has actually been around for many years, but it seems that the reformers are getting ready to ramp-it-up according to a recent Education Week article. One general definition of platooning involves alternating groups and is used in reference to baseball, and that is obviously how platooning is used in the description of student rotation noted above. But what comes to your mind first when you hear the word platoon-ing? I mean no offense to those who have honorably served in the military, but our public schools have already taken on a lot of militaristic words (battery and drill come to mind). Do we really need another—especially at the early elementary level? But put aside the word platoon for a minute, and get the movie scenes from “Platoon” out of your noggin. The recent Ed Week article entitled “‘Platooning on the Rise in Early Grades’” has enough controversy without the name. Should young children move from class-to-class as if they were in middle or high school? Is this not another goofy way to put pressure on young children and make them older than their age? For starters, platooning got its start under No Child Left Behind, with many thinking it would increase test scores. So there is no developmentally prudent reason to platoon other than creating more emphasis on high-stakes testing. And we haven’t seen any significant proof that it works, although some do tout higher scores. Common Core Standards enthusiasts will think it a good idea for this reason alone. To be honest, I don’t think an outside art teacher or P.E. or music teacher is odd when children are little. Small children need to know there are other teachers in their schools that have special skills. But their main teacher should be the teacher that they most identify with, because small children are more likely to feel comfortable with one teacher. And one teacher can get to know children well—can understand the difficulties they might face on the home front. It is more nurturing and more developmentally appropriate. Also, don’t children grow up to be teens fast enough? I looked hard for the reasoning behind platooning in the Ed Week article and all I found was the weak emphasis that it will make for better test scores. They also mention that Rocketship Education does it—like that is adequate justification. Rocketship are chain charters that rely heavily on computers and the schools are highly controversial. In Reign of Error Diane Ravitch writes about Rocketship’s business plan and how they “cut costs by putting large numbers of children in front of computers for an hour a day, supervised by low-wage, part-time aides (p.174).” Also, many of the teachers at Rocketship are from Teach for America. So if you think more about platooning it makes sense for Teach for America, who are not generalists, and who most likely become frustrated after getting a BS in history, and are now called upon to teach math and a bunch of other subjects in an elementary classroom setting. I actually think this is the real reason behind platooning—matching Teach for America subject oriented teachers with students. But rotating classes just doesn’t make sense for very young children who should be in the midst of play, who are learning to adjust to school and getting to know one another. Platooning is just another asinine method to adapt to the corporate changes in schooling. It will stress young children out and make parents fearful that their children aren’t learning harder material fast enough. It’s also an awful, but great weird word for my list. Gewertz, Catherine. “‘Platooning’ on the Rise in Early Grades.” Education Week. Online. February 18, 2014. Ravitch, Diane. 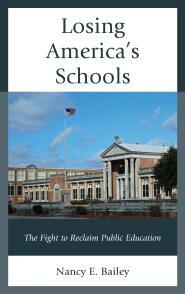 Reign of Error: The Hoax of the Privatization Movement and the Danger to America’s Public Schools. (New York: Alfred A. Knopf, 2013) , 174. My daughters have had elementary school teachers that really enjoyed teaching one subject but not another. One was very reading-oriented and the kids in her classroom had better growth in reading than other classes. However, parents could tell that math was a hated subject for her and the kids just went through the lessons, which were dry and undifferentiated. Another teacher was very math-oriented and made math sing for many of her students – which you know is hard! Although good, she wasn’t as strong in reading and writing as the first teacher. I do believe the students of the school would have been served by having the first for reading and writing and the second for math and science. I know that there is the issue of teachers and students getting to know each other, but this can be a very frustrating reason when you know your child could be getting a better education if things were done differently. When our school used cross-classroom ability grouping for reading, it benefited all students, but very much helped high ability students who often had been pulled back to read with high average students. I questioned why this was not happening for math, leaving the top students without proper instruction, and was told it was because they wanted the teacher and students to know each other better and cross-classroom ability grouping pulled students away from their primary teacher. I personally found that an unacceptable reason and led to our decision to accelerate our daughters in math at home since the school was failing to do so. Hi Joshua, As always you bring thoughtful comments I have to sit and think about. On this issue, however, I believe primary students, including gifted students, need one teacher for most subjects–especially kindergarten which should not be academic heavy. With reasonable class sizes teachers can provide more advanced work for those who need it. Shuffling little children from teacher to teacher would not, in my opinion, benefit them in most cases. I’d have to wonder about the teacher you mentioned who hated math. Most well-prepared elementary teachers I know are very good generalists at the early levels. Transitioning from subject to subject is important as well. On some days the generalist teacher might want to spend more time on one subject than another. That’s my side. Thanks! Switching the entire class to go to different teachers has been done for years. Check out the Memphis Jewish Community Center- they did it with their kindergarten successfully for years. Also Grahamwood Elementary optional program had children switching teachers for subjects in 4th grade. I am equally suspicious because of the reasons you suggest but it has been common practice for years in some places. But I never heard the word used for education before. Thanks Janna. I wonder if the places you mentioned started rotating with NCLB. It is interesting the schools you mentioned both likely feed into White Station which is highly competitive not always, I don’t think, in a good way. But many might disagree. I still can’t see kindergarteners or first graders rotating for subjects. Maybe Platooning is new for CC. You are correct. The MJCC had Kindergarten curriculum in the Pre K and First grade curriculum in the Kindergarten. So when kids had to test into the Grahamwood optional program they usually did fine. Then at Grahamwood they are pushed along -2/3 of the children qualified for CLUE (gifted) so they could get into White Station Middle and High School. But that was the only way Memphis avoided complete white flight of affluent parents to The county or private shcools. In some ways Grahamwood was a stroke of genius. They put a highly competitive school in a neighborhood most highly competitive parents would not move to- but they all fought to get in and they fought for Spanish and Art and Computers and Field trips and the whole school benefited- not just the optional school within a school. But were we focused on the wrong things for the wrong reasons? Absolutely. But I was glad my children went to school in a diverse setting. Now they are totally segregated in their nice little safe gifted classes. My social justice radar was fairly horrified in both situations but looking back I am not so sure that was not the better of the two evils.Too bad it was all driven by test scores which we know is really just measuring socio-economics. Thanks Janna, for giving me the history. I understood this somewhat but your explanation was helpful. We chose the White Station schools for the diversity as well. I liked the schools, but changes were made to the HS school curriculum without teacher or parent or student input at one point. A lot has happened to Memphis and the county schools in recent years as you may know. I do know a lot has changed- consolidation has brought issues that I probably have not kept up with. I can only imagine. Can you imagine how much instructional time is lost over the course of a school year moving wiggly, giggly primary students from one class to another several times a day? Even if it’s the teachers who move, that’s still a lot of time. Let’s not forget the subject of this article, the word Platooning. During the Bush administrations, maybe it was just my age and maturity and the fact that I started tuning into the news that I noticed the practice of using Key words and phrases known as “talking points’ They served a purpose to manipulate and imbed specific ways of thinking into the minds of the population. Another ‘p’ word comes to mind…Propaganda. I’d like to know what the reformers are really trying to implant into the mindset by using military terms in the elementary school setting? Some words/thoughts that come to mind for me when reading this article are, robots, task oriented, fall into line, remove uniqueness, order, obedience, uniform … well I could go on… So their explanation is better test scores? this whole subject then brings me back to a recent article you wrote Nancy about zero tolerance… In the military there are severe consequences if you don’t pass the test, if you don’t do as told, if you question authority, if you think for yourself. Thank you, Kara. This is certainly important to wonder about, especially when you think about some of the harsh zero tolerance rules that defy reason. Parents need to ask more questions when they hear words like this. You’re right. As the writers of Common Core have already admitted, the goal is to produce a “workforce” ready for jobs in manufacturing and the military. Gates’ newest investment “operation readiness” has brought retired military in full uniform into state legislative sessions where Common Core is being threatened. These military groups are getting paid to support Common Core. Sadly the current math standards won’t even guarantee military placement much less college acceptance! More bullying tactics! Thank you, Meg. I always learn something new from you. The importance placed on Common Core never ceases to amaze me. If everyone is dumbed down by the CC, what will the workforce look like in the future? I wonder. Now I must go look at “operation readiness”–for my weird ed. word list. what will the work-Force- look like you ask? 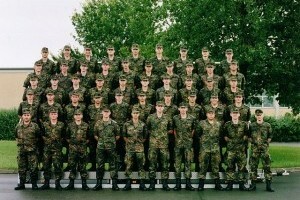 how about a platoon? blank faced, mindless soldiers, all dressed alike, waiting for their next order. that’s really scary Operation readiness, sounds like another military term! let’s not wait for a Mission Accomplished! Thank you, Kara. Even though that scenario scares me. Some children, even up through 5th grade, are not developmentally ready for the constant upheaval and shift of changing classrooms. They go through the day in a fog of distraction. Also, schools which are not crowded when the kids don’t move from class to class every 45 minutes or so become incredibly overcrowded when the halls are regularly filled with overwhelming noise and confusion. For particularly sensitive children, even riding the bus to school in the morning can be too much at a young age. Yes, they need to learn to overcome a hypersensitivity to noise and visual overloads, but this takes time. Also, has anyone ever considered how damaging carrying books and materials from one class to another over time can be to such small bodies with their immature skeletal systems? I predict more injuries similar to the ones that made the news in the 90s, when the backpacks were first becoming a popular way for kids to get homework home. Excellent point, Sophi! Thanks for posting. And I couldn’t agree more about the backpacks and carrying heavy stuff. It never ceases to amaze me. This to me is a difficult one. Do they consider the children in special education? My son who will be in 6th grade next year, last year of elementary. This im not sure how would work. He’s been in special education since kindergarten, now next year those classes are going to be changing and being my son is not alternate assesed he is being placed into regular class, where he honestly may not survive with the material.. Cause they don’t have a class for him. So adjustment enough if I follow suite and put him in regular education stressful as it going to be, now add this on top of it. I’m sorry in 7th grade he will have to do this when enters jr high, but for my son he needs one step at a time. They are pushing theses kids to hard, let them be kids. They need to start worrying more about these kids like my son, who needs more help instead if pushing them on and on, how about actually helping them. My son being 6th grade next year reads at a 1st / 2nd grade level, and they known of my son issues, but math was always pushed. Now, this year they want to consider holding him back, what happened all the years, I asked for something more? I’m sorry they have alot more to worry about than platooning or common core. How about helping the students more than need it. I pay for tutoring for my son, being my sons school cant help him, I’m all for paying for extra help, but I had to pay for my son the get the reading help he did. Cause of my son tutor within thus last year, he gone from kindergarten level to the 1st / 2nd grade level, not the schools doing. But lets trust our special education, I’m sorry they are looking at everything the wrong wrong way. Sorry off topic, but I think theres other things they should try doing instead. For my son and other students luke my son. This is the first year that our third through fifth grade students have switched classes for Math, ELA and Science/Social Studies. So, they have three content teachers. I am the 3-5 ELA teacher. My daughter is a fifth grader, and one of my students. I can tell you first hand, and from a student survey that I just gave, that students can thrive with this model. An overwhelming majority of students said they like having different teachers. I disagree with the point that time is lost with transitioning. This time gives the students a chance to mentally change to a different subject and gives them a chance to get out of their seats and move. I think it will help the students to be with the same teachers for three years. In addition, the teachers involved have to be a really close team and communicate. Now, there are three of us who can come up with ways to help our students. I used to be a traditional third grade teacher. No one can be a master of all subjects. I can teach all the subjects, but I can’t be an expert in all. I think my students will learn more when they are taught by a teacher who specializes in what they need to learn. Finally, in regards to bonding, I keep my homeroom students for more time than the other grade levels. This gives the students a bond to one specific teacher. I think it also benefits students to have the same teachers, who have set up similar management styles, for three years. We have made it a point to make the rules and consequences the same in our three classrooms. They don’t have to switch each year to new expectations and a new teacher. Now that is stability. Hi Jennifer, Thanks for commenting. I might buy your argument for 3rd graders. I think though for younger students it might be confusing. You sound like you have a great set-up though. Great points. Did not see any about teacher burnout. Burntout teachers cause more harm. Teaching 5 subjects burns you out. Thank you for sharing. Kindergarten seems young for platooning for the reasons you note. Also, I agree about teaching one subject. Usually one goes into teaching middle or high school if that’s the case. But I wish you luck. Maybe they will eventually change back. Thank you for commenting! Thank you for your article. As a substitute teacher, I have begun to see a new, bizarre twist to platooning. This week, I was at a school where 5th and 6th Grades “rotate” with each other. The two 6th Grade teachers combine their classes and unload them on the lone 5th Grade teacher for 2 hours and 40 minutes. But when the 5th Grade teacher sends his students out, the 6th Grade teachers happily divvy up his kids, so they get to have smaller class sizes. Also, the 6th Grade teachers only hold each class for 1 hour and 2o minutes. The 6th Grade teachers insist that this is beneficial for the students, but I have seen a lot of behavior problems arise, not to mention that 2 hours and 40 minutes is way too long to be teaching Social Studies! I would appreciate any thoughts you have to offer on this development. Hi Jennifer, Thanks for sharing. How interesting! It sounds like the teachers are trying to deal with large class sizes. So they rotate large and small to get the smaller group more attention. Could that be it? We need smaller class sizes is the bottom line. If only…. Thanks for your reply! I agree that class sizes should be smaller. Unfortunately, there is more to this picture than that. One 6th Grade teacher does Math, the other does Language Arts. The 6th Grade homerooms are already small; they have 15 students each, so they don’t need to involve the 5th Grade teacher in order to have a small class. I think it boils down to laziness: the 6th Grade teachers didn’t want to teach Social Studies anymore, and the 5th Grade teacher didn’t want to teach Language Arts and Math.